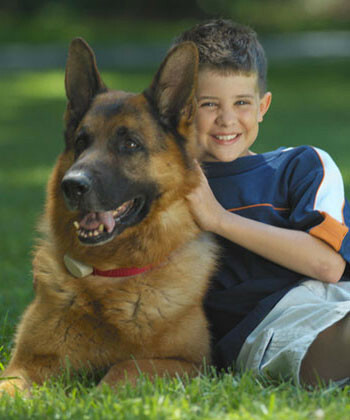 While Pet DeFence Hidden Fences relies upon technology to reinforce your dog’s training, we mostly rely upon safe, fun happy and rewarding training methods to teach your pet where it can venture into the yard and how to avoid the yard edges, gardens, and pools. We also have tools designed to teach them to avoid couches, formal living rooms, visitor’s rooms or kitty litter boxes. The Big Loop is one of our most popular layouts. 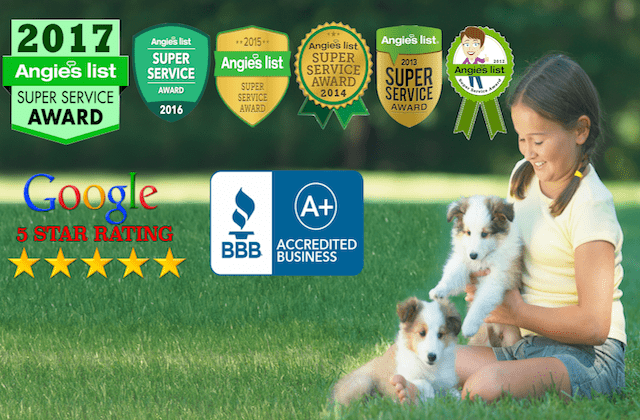 The benefits of the Big Loop are that your pet is protected from unexpected escapes from any doorway as well as having the freedom to play in your entire yard. 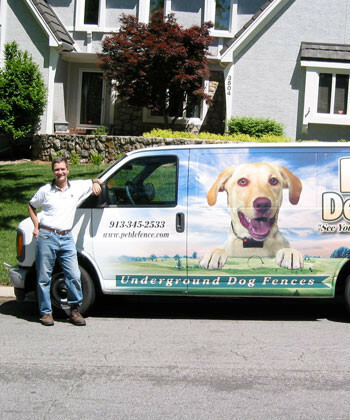 Pet DeFence Hidden Fence recommends keeping dogs at least 10′ from sidewalks as a neighbor friendly practice. We will give advice, but install the fence wherever you direct. The Figure 8 is also one of our most popular layouts. It shares all of the benefits of the Big Loop while keeping your dog in either the front or the back because the sides are blocked. 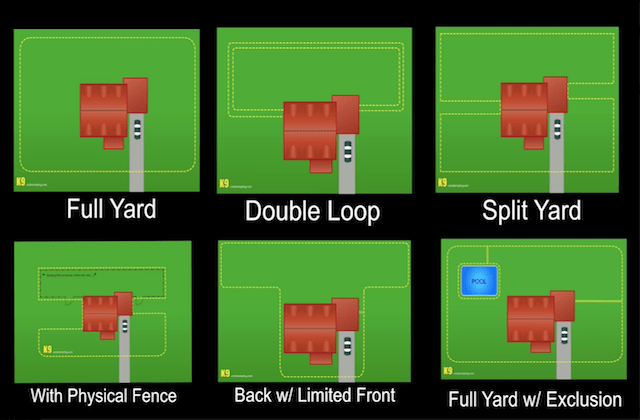 The Double Loop blocks only the back or front yard like a conventional fence would. It requires installing two parallel but separate running wires in the back or front yards. This method does not save you any money and leaves garage doors and front doors vulnerable to escape as they are left unprotected. Pet containment training is more important than the collar, transmitter or wire, as it is teaching your dog how to respond appropriately to the boundary. 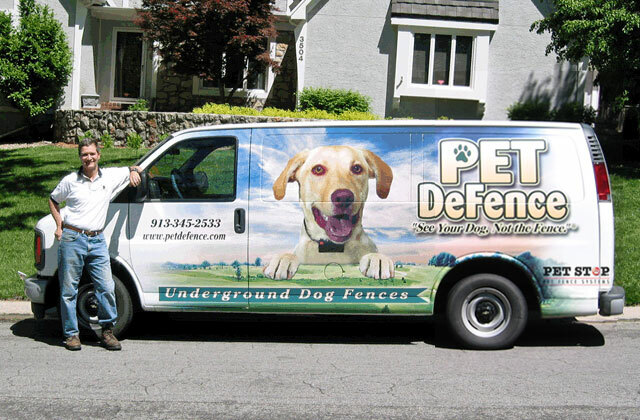 Pet DeFence provides onsite training with certified trainers and ongoing phone support to make it easy to train your pet to the fencing system. 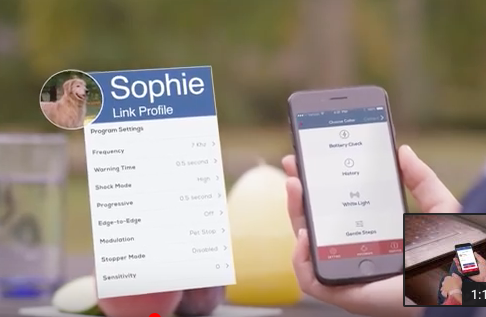 You can train as many pets as you want on the same system, Each dog requires their own programmable receiver collar. Training takes between 7 and 14 days on average, though we ask you to remain vigilant for 3 weeks. 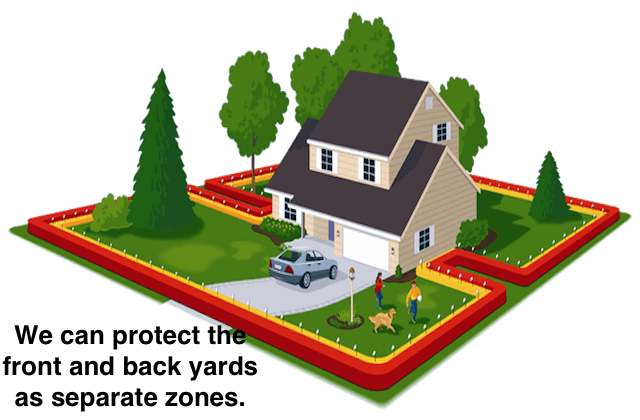 Our exclusive SafeYard® training program helps your pet first learn the boundaries and then…to avoid them. Marking flags are placed around the perimeter to offer your pet a visual benchmark to help them recognize the new boundaries. We pair an audible warning and mild shock with these flags. The shock is adjustable for different personalities, temperaments and breed characteristics. A tiny receiver worn on your pet’s collar picks up the digitally modulated signal and issues an audible warning and or an immediate shock (depending on the chosen settings and the dog’s behavior.) to teach your pet to avoid the boundary. While any company can claim nearly the same, only Pet DeFence uses SafeYard® training. SafeYard® training rewards instinctive behavior related to backing away, rather than punishment for approaching. Keep in mind as you shop around that others may try to sugar coat the word “shock” and call it something nicer. “Shock is shock”. Do not lose sight of the fact that your pet must not like the shocking sensation at all, and therefore must seriously wish to avoid it. Our program will focus on the positive aspects of training. 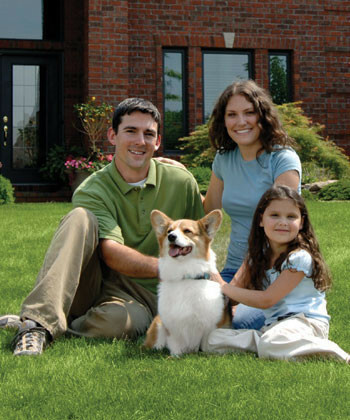 We want your dog to know that the yard is a safer, funner, happier place than it was before we started. 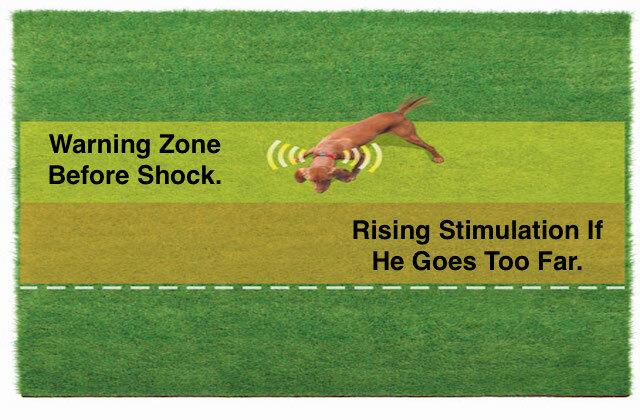 We want to use the lowest possible shock on your excited dog to get them to want to avoid the fence without fear. To do this, we use the lightest and most discreet shocks available in the industry during your dog’s training. A three-year-old child permitted to touch the collar before training commented: “It feels like someone is blowing on my finger”.